Hello! 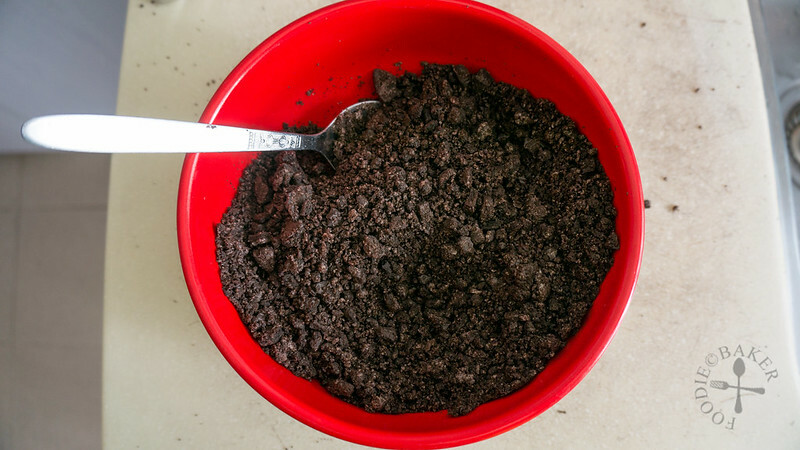 Here is my 2nd installment of the cheesecake making process and I’m back with an Oreo crust recipe! 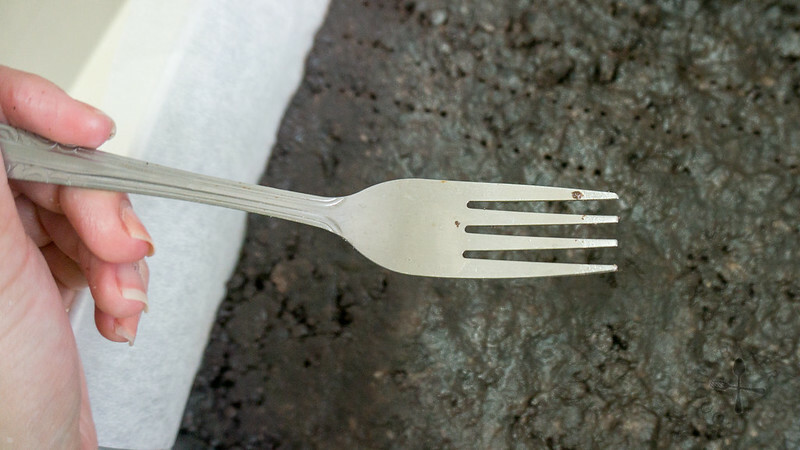 Oreo crust is one of my favourite crusts for cheesecakes because really… who doesn’t like Oreos? 1) Melt some unsalted butter. 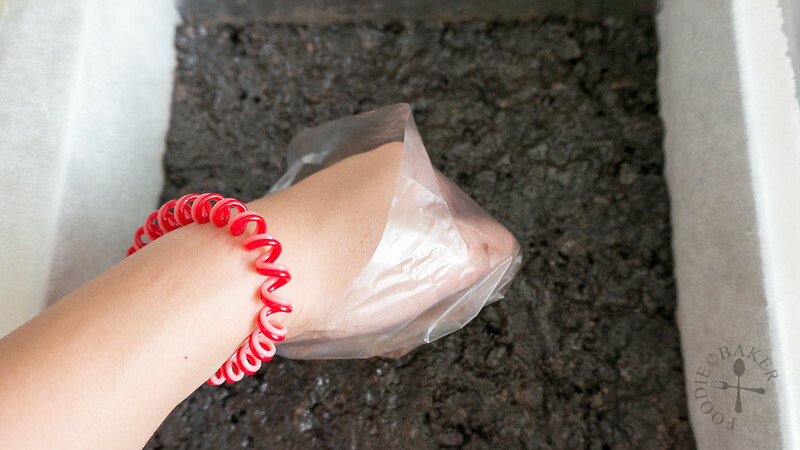 2) Break some Oreos and dump them into a ziploc bag. How much Oreos you want to crush depends on how big is your cheesecake / pie. For an 8-inch standard cheesecake with a crust of regular thickness – I find that about 250 grams of Oreo cookies (with cream) will suffice. If you want the crust to come up to the sides of the cheesecakes, increase the amount of Oreo cookies by 50% or even 100%. 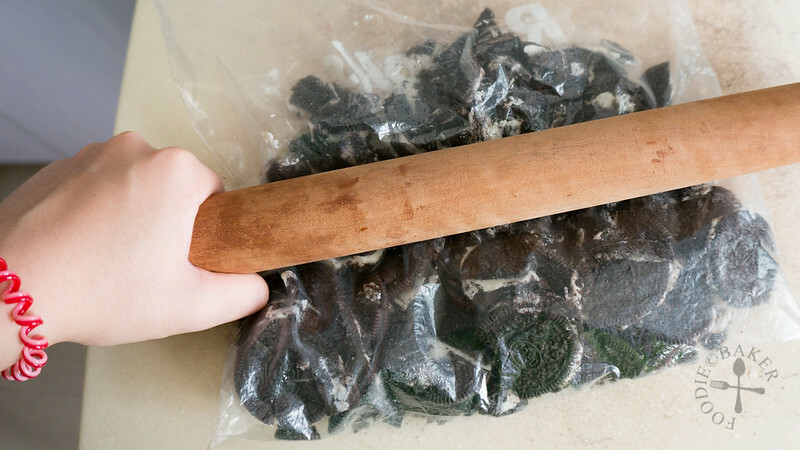 3) Crush the Oreo cookies with a rolling pin. If you have a food processor, by all means use it to do the job! I don’t have a food processor (you don’t know how much I wanted one! ), so I can only crush them manually. I tend to make the crust the night before so that I don’t have so many things on hand to do the next day – but that’s just me! 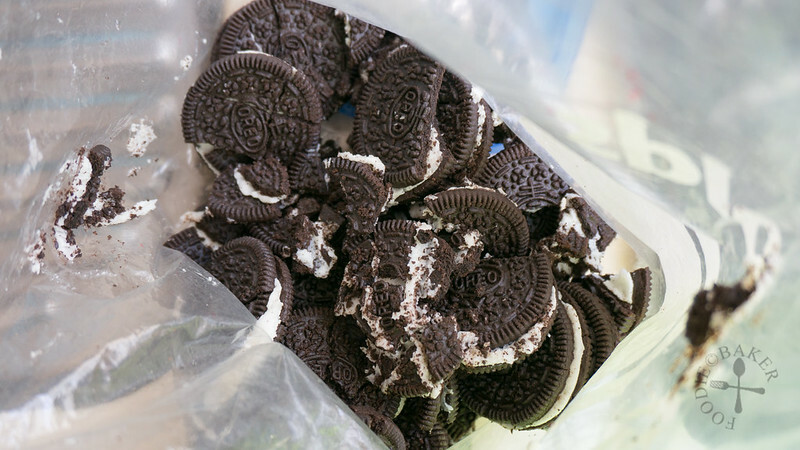 I like to crush extra Oreos so that I can reserve some of them to sprinkle onto ice creams – yummy! 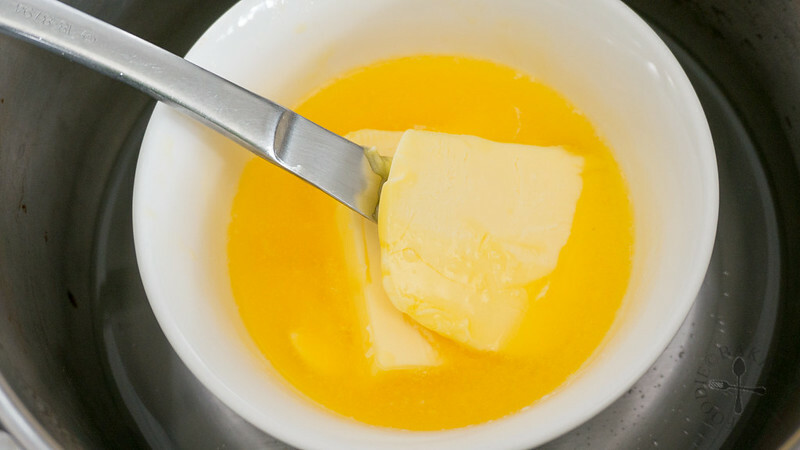 5) Pour in the melted, golden and luscious butter. 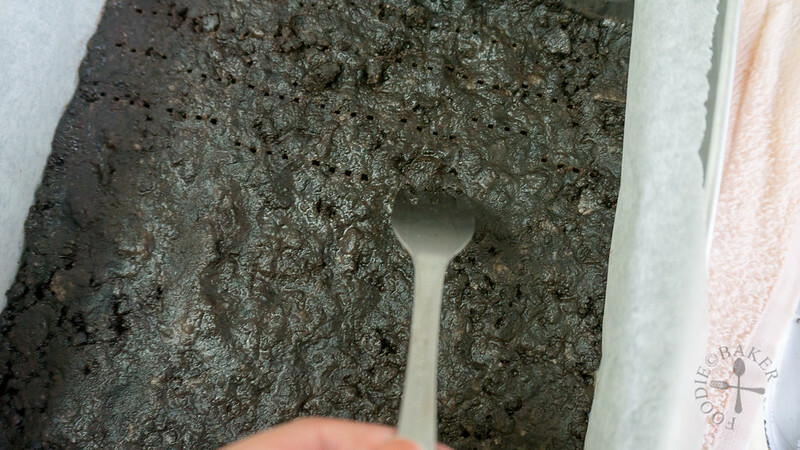 How much butter is needed for the Oreo cookies crust? As the cream in the Oreo cookies acts as a binder for the cookies, I usually go by this ratio when making the Oreo pie crust: 10 parts cookie, 3 to 4 parts of butter. 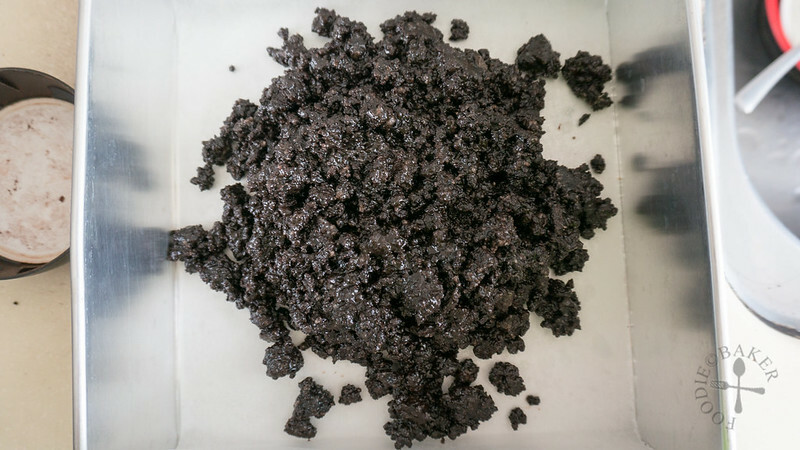 Example: For every 100 grams of Oreo cookies used, I will melt 30 to 40 grams of butter to mix into the crushed Oreo cookies. 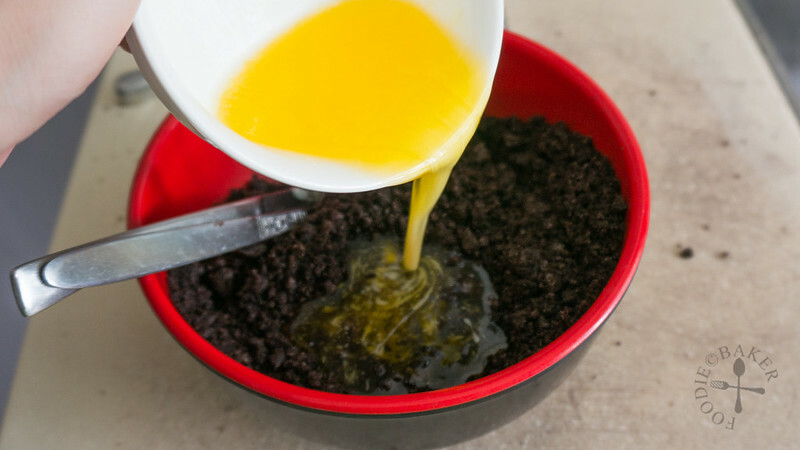 6) Mix the crushed Oreos and butter well and tip them into the baking tin / cheesecake tin. 7) Press down the buttered and crushed Oreo cookies evenly on the bottom of the tin. Chill the pie crust until firm. Chilling the pie crust will help to set and firm up the crust. There is no specific amount of time to chill, but I usually chill for about 15 to 30 minutes. 9) Poke holes all over the bottom of the chilled cheesecake. Poking holes will allow a teeny weeny bit of cheesecake batter to seep into the holes, helping to hold the crust and the cheesecake together. 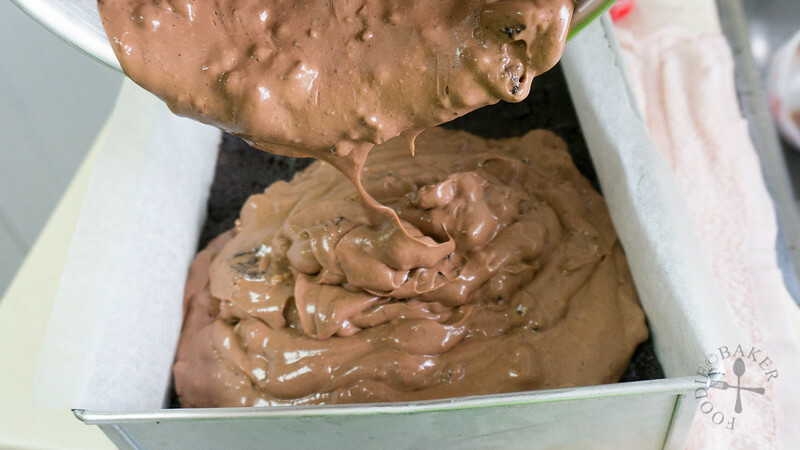 10) And now you are ready to pour your cheesecake batter in and bake away! Hope you all find the above information useful! Thanks Robyn! I try to avoid snacking too much but when it comes to cheesecakes… Oreo cookies are the way to go for me! Hope you get to try this out soon. Have a merry and blessed Christmas, take care! I LOVE a cheesecake atop an oreo cookie crust. Nothing better! Thanks John! Yes, oreo cookie crust is my favourite too! Thanks Uru! Seems like Oreo is very popular!